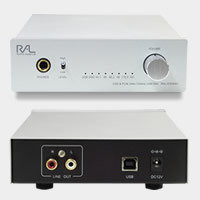 RAL-DSDHA1 receives DoP format compatible DSD digital music stream, passes it to DSD Direct enabled DAC and creates clear and natural sound without any conversion. 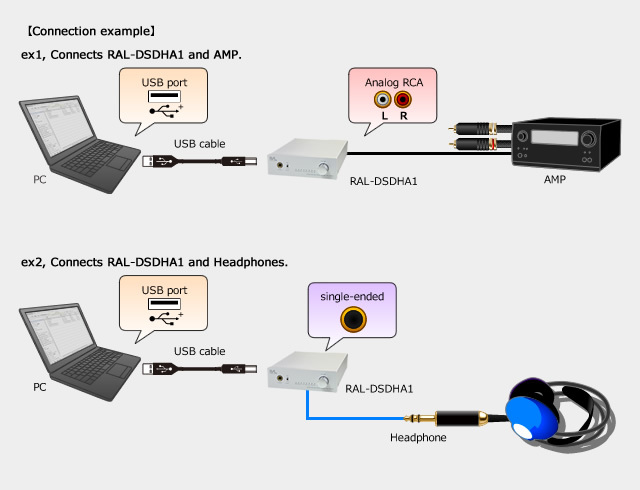 RAL-DSDHA1 is fully compatible with DoP(DSD over PCM) Standard 1.1 and works with popular Music Players, such as Audirvana Plus on MacOS X, foobar2000 with foo_asio_dsd, HQPlayer and JPLAY on Windows PC. 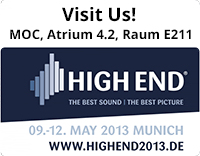 RAL-DSDHA1 is fully compatible with USB 2.0 High Speed specification and USB Audio Class 2 Specification. Don't need to install drivers for Mac OS. Windows XP, Vista, 7 and 8 requires USB Audio Class 2 ASIO compatible driver at the first time, the driver is included in the package and works fine on both 32bit and 64bit Windows. RAL-DSDHA1 includes the powerful, low noise, low spike level world wide AC power adapter and primary and secondary low noise LDO regulators for each circuit blocks.